Our favourite cartoon mouse is turning 90 this year and to celebrate, there have been a whole lot of special, limited edition collabs featuring those famous ears. Campbell’s Soup, Evian water and Oreo’s have all jumped on board—but the most exciting Mickey collab drops to date would have to be the Fantasia-inspired Vans Sk8-Hi sneakers, and the Mickey Meets Levi’s collection that's due to drop next month. Yes, Levi’s are delivering hoodies, tees and one killer pair of mouse-ear-adorned 501 jeans. Let's just say, these guys know what they’re doing. Well, Levi’s do have a few years on Mickey—the brand has been making denim dreams come true for 145 years. 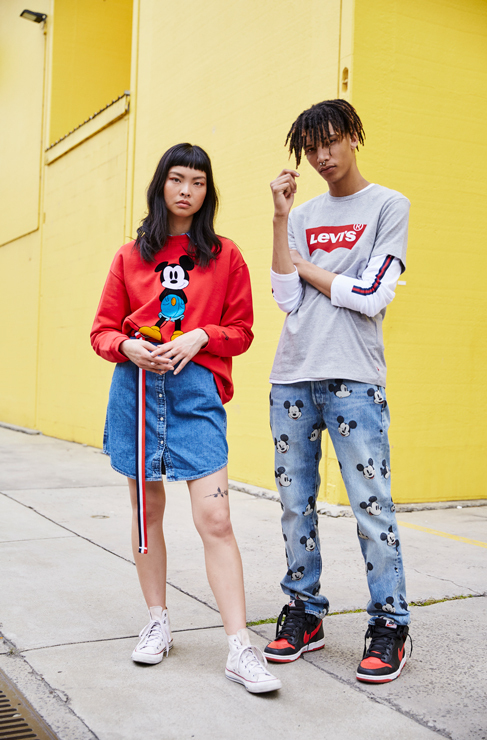 The Mickey x Levi’s capsule collection has all the 90s vibes you need right now, pairing classic Levi’s silhouettes with that fa-mouse Disney iconography (sorry). The collab drops in Australia on November 1, and you'll be able to get your mouse paws all over it in store at Levi's and right here. Loving the 90s throwback? Here's the case for shopping that super bright, new season neon—on your sneakers, and everywhere.